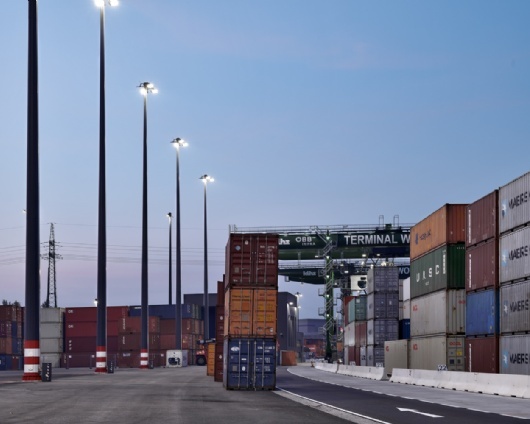 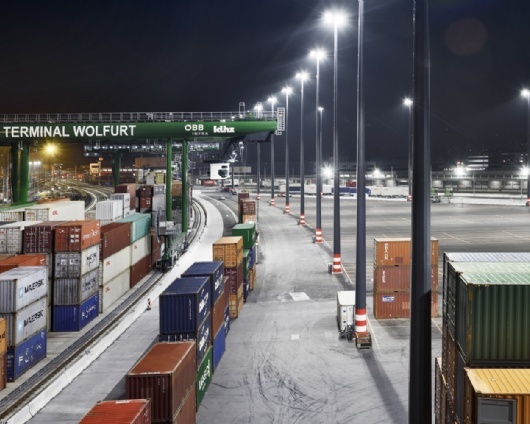 The Wolfurt shipping container terminal provides high-performance cargo handling for the loading industry, as part of ÖBB’s wider eight-terminal service infrastructure. 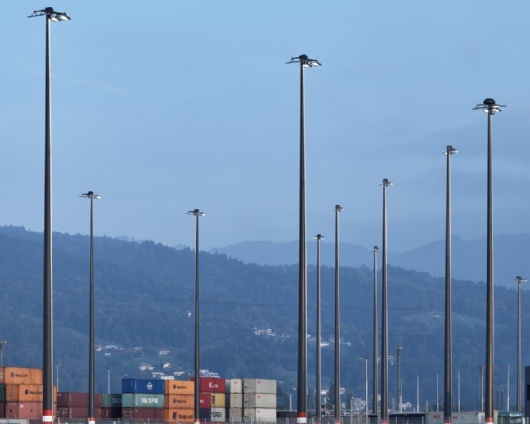 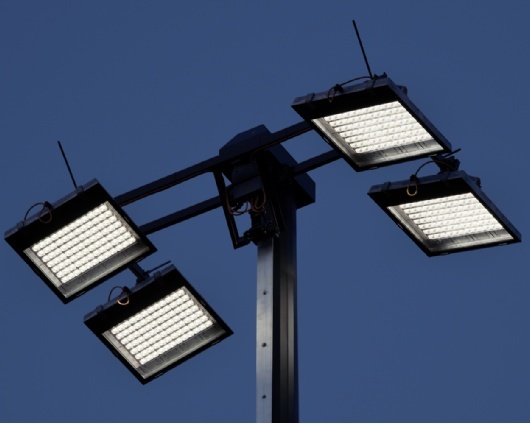 ewo provided large area lighting solutions in cooperation with Europles, who provided the high mast lowering systems. 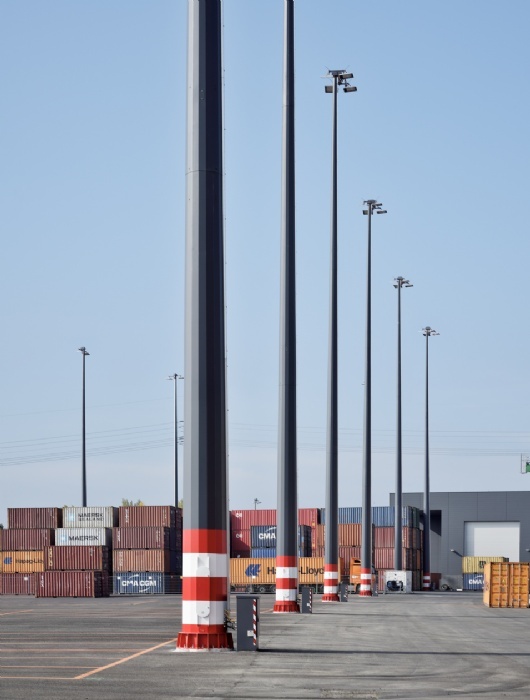 The design for this project was done by the consulting office A3 Jenewein Ingenieurbüro GMBH, for the 54,000 m² site which provides overhead, cooling and heating, SOLAS weighing, depot management, container cleaning and customs support. 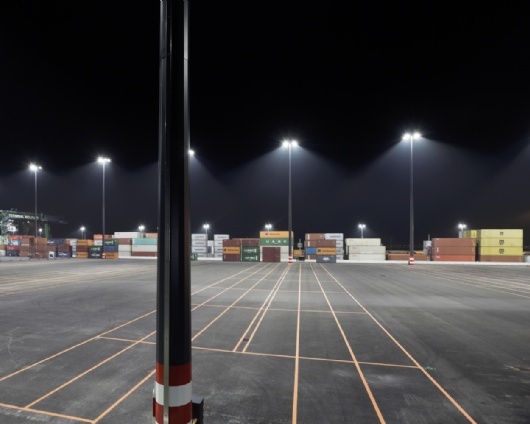 LED technology was perfect for the site, delivering cost-saving energy efficiency and a modularity offering huge flexibility for the client. 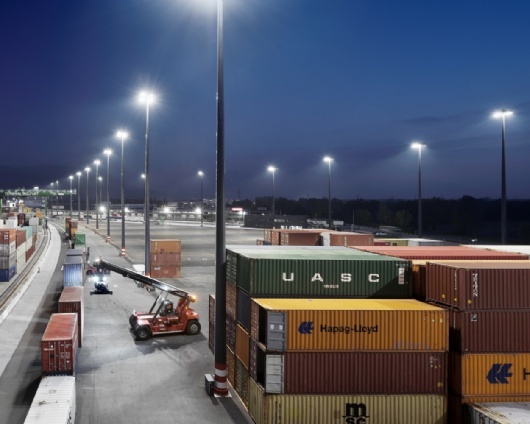 The apron illumination allows targeted illumination of active areas of the terminal, to ensure reduced wastage of energy.